The Artisan Two Tone Blue Teapot is made from durable ceramic and hand crafted for this artisan collection. The beautiful two tone design features a gloss blue finish on the top and a stoneware base with a stamp in the stoneware. 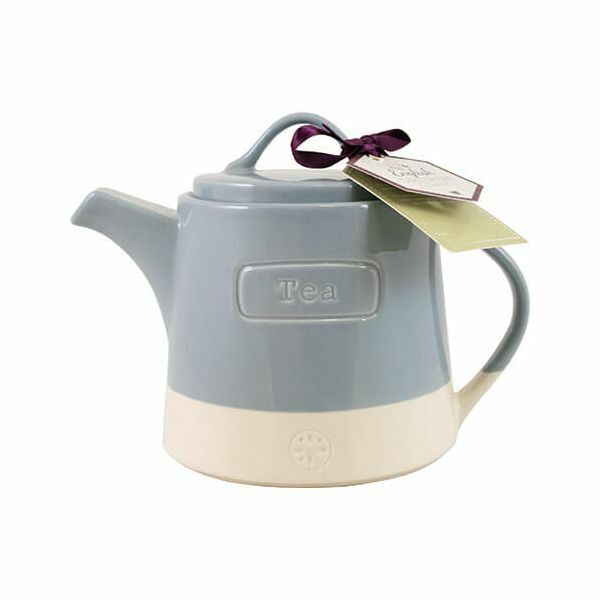 The teapot is perfect for serving afternoon tea and also makes a great gift. Dimensions 11.5 x 7.5 x 8.7cm. 700ml capacity. Love the teapot but it leaks every time I use it as I pour tea out.